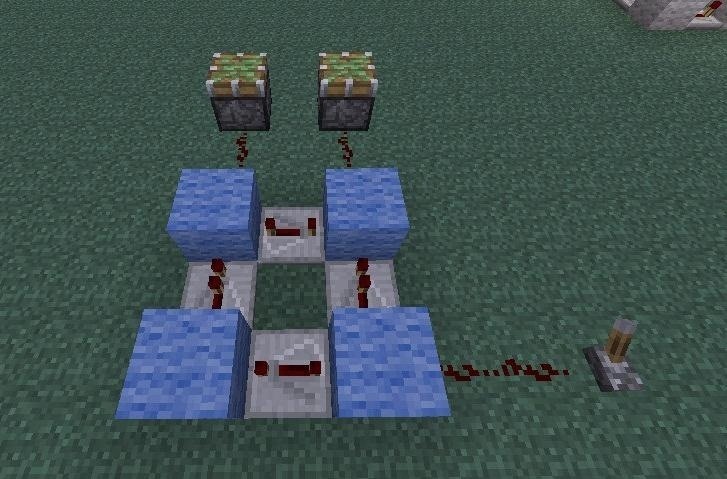 In last Saturday's workshop, the tutorial was on the ABBA switch, so named because it fires redstone pulses in A-B-B-A order. While the turnout was low, it was a really productive workshop! We experimented with a lot of things and had a great time. Hopefully you'll consider joining us next time! Meanwhile, on to the ABBA switch. An ABBA switch is a really, really simple thing to build, but it's incredibly useful in certain circumstances. 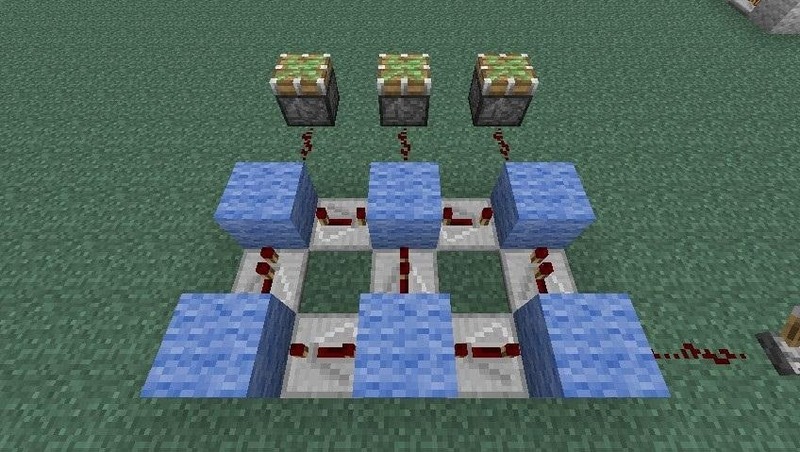 ABBA switches are sometimes necessary in complex redstone builds in order to make them operate properly, but they can also be used to stack a piston on top of another piston, or to make stylish-looking doors, or anything else your imagination can conceive of. They're a hard thing to explain properly, so why don't you watch this video of them in action? 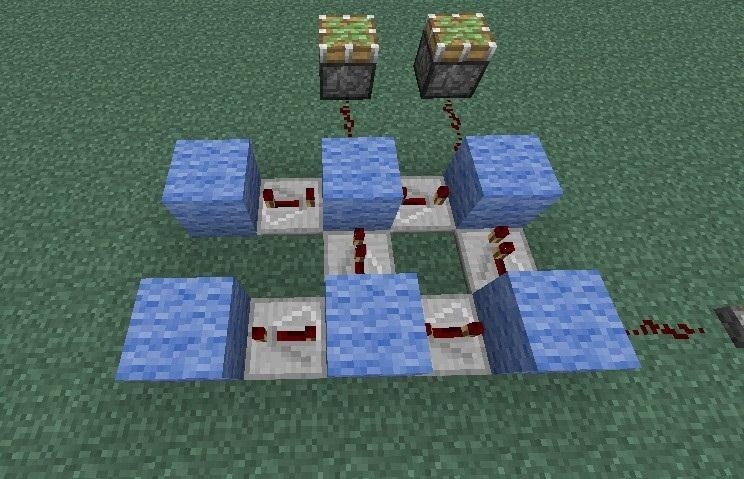 Decide which direction you want your ABBA switch to face, and then add a repeater going away from your switch at the back and toward your switch at the front, making sure that both of these repeaters are set to maximum delay. Note that these two repeaters are facing opposite directions. 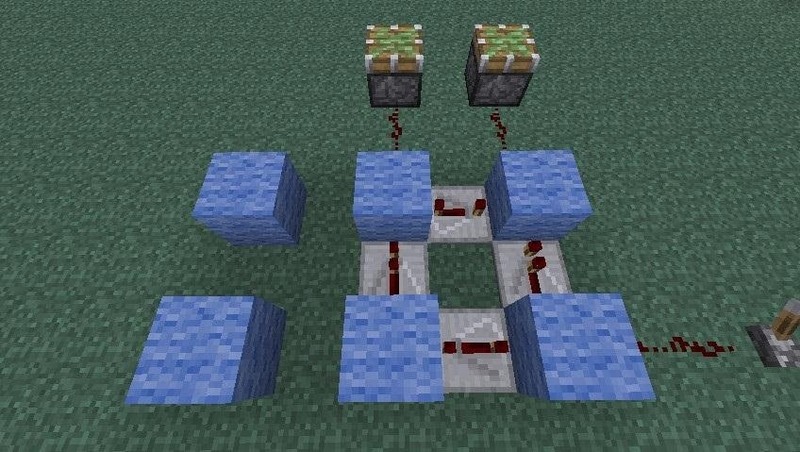 Now add two more repeaters, but unlike the first two, these are both going to face the same direction, and that's the direction that your devices will be in. Also unlike the first pair, these are set to no delay. Note that they are facing the same direction. 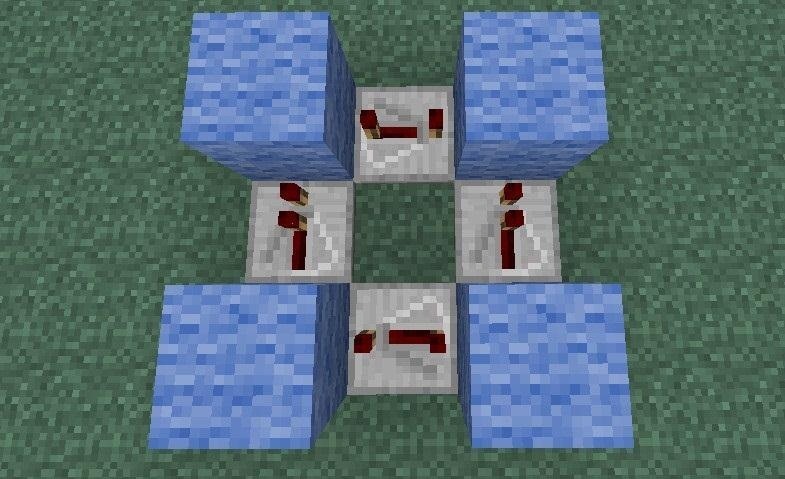 I've used pistons in this picture, but you can literally use anything. 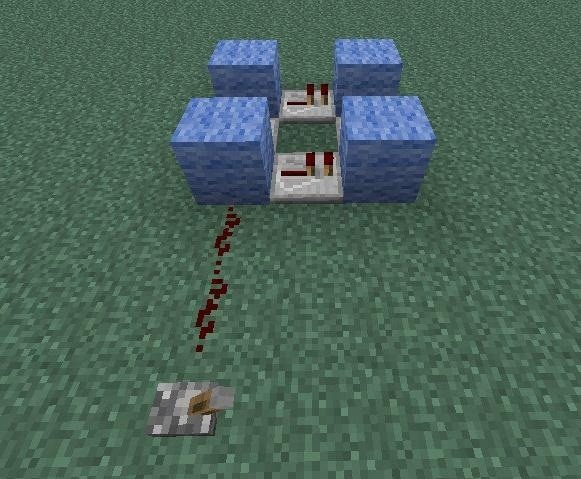 Note how the pistons are oriented compared to the lever. And then you're done—if you just want a simple ABBA switch! However, maybe you don't just want two outputs. Maybe you want three or more, for an ABCCBA switch, or the even-less-pronounceable ABCDDCBA switch! All we're going to be doing is expanding the same architecture we've already established. Now continue the direction of repeaters. 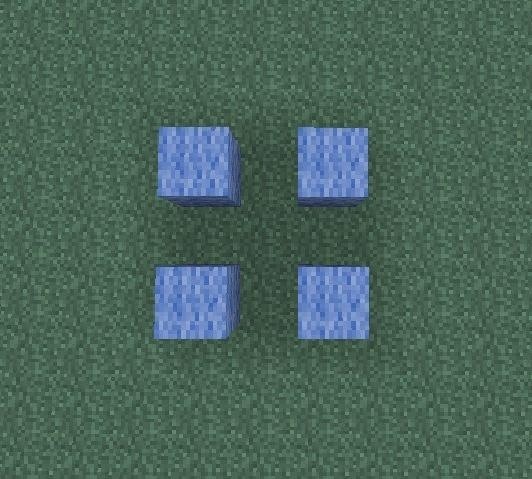 The one at the back should be facing away from your power source, and the one in the front should be facing toward your power source. Additionally, don't forget to put both of them on maximum delay. 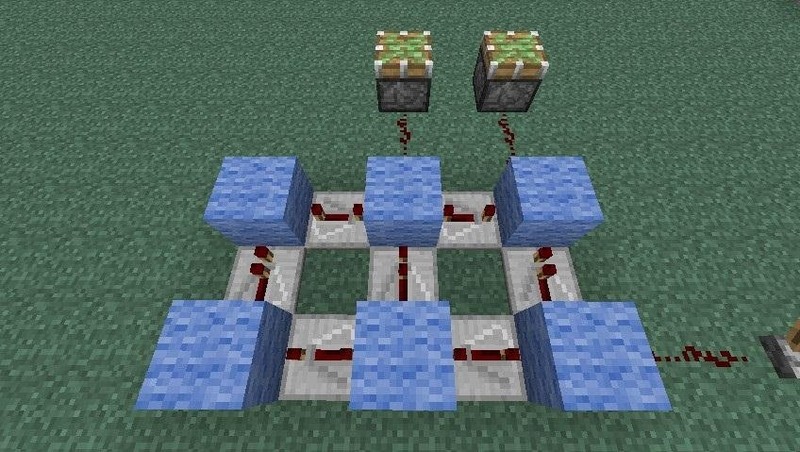 Now just add one final repeater pointing toward your output, and you're all set! Then if you want more outputs, just keep repeating these last few optional steps! 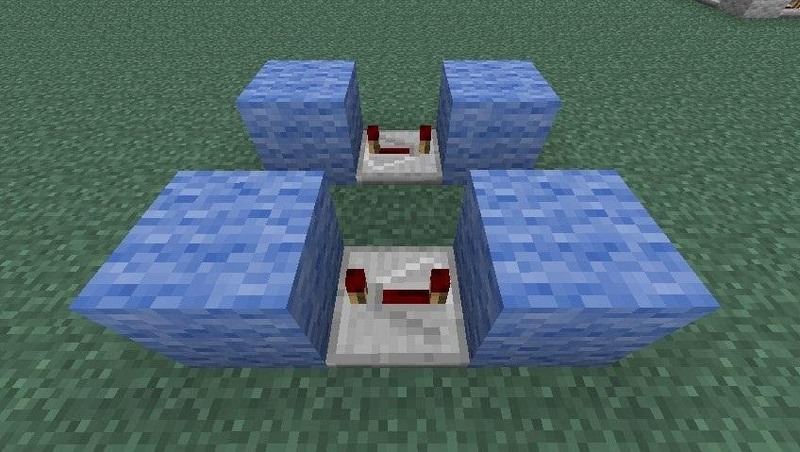 However, if you know a better way to make ABBA switches, or you've found a great build that incorporates them, please submit a tutorial of your own! I was looking for an ABBA gate, and here you've got not just an ABBA gate, but an ABCCBA gate. Strange anagram, but it's awesome none the less! thanks! this helps for bloody piston designing.